Tailored for large Semiconductor, Plating. PCB, Dairy, Winery and Community Center facilities. SRI, under its Engineering Services, provides a full service engineering capabilities. 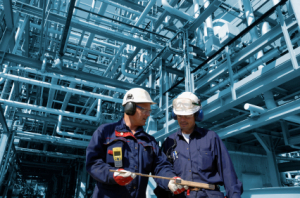 Whether your facility needs are related to, Structural, HVAC, Electrical, process piping, or chemical systems, SRI has the resources to assist you in planning, design, construction and construction management. Our record of successful projects is the evidence of our commitment to excellence, quality products and services and our attention to detail. Understanding of manufacturing, operations, and maintenance processes enable us to implement complex construction projects with minimal plant interruption.